Hey all! 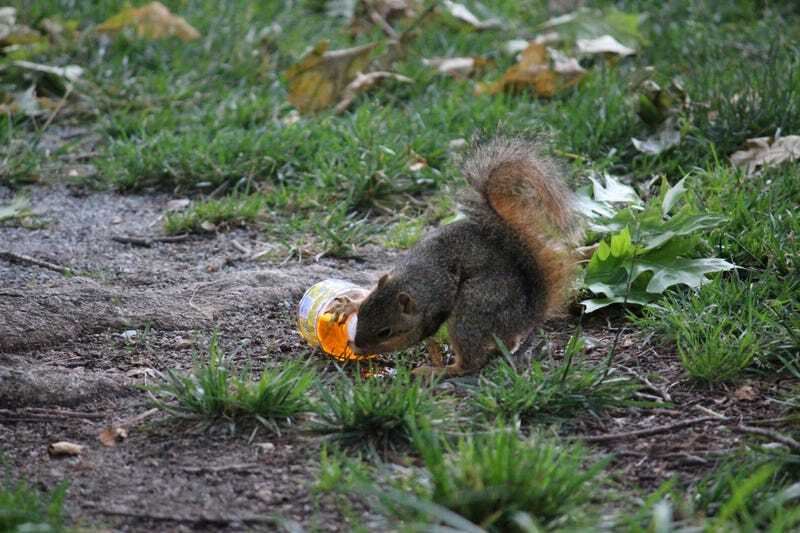 Hope your Sunday’s got a little nectar in it and not too much squirrelly-ness. (Unless it’s fun and that is your thing...). Somehow the photo folder I had ready last night ended up with one picture in it, so I had to throw these in Google drive and slap this post together during work break. Post your pics, be they pretty, weird, informative or mysterious, silly or serious. All of mine here were taken with a Canon T5i. Went to the park with lad and the Mrs. As we watched the geese and goslings from a safe distance, an older man approached with a bag of bread. The geese gathered but he threw most of his bread to a single white duck who then ran a gauntlet of awkward goslings and snappy parents. White duck pictures didn’t make the hastily gathered file transfer. At work a wasp licks freshly dried concrete leavings. Went for a walk in some woods, it had rained, the main trail was very muddy but there were quite a few footprints, including some small bare feet. Also map turtles. Next time I must remember the bug spray.